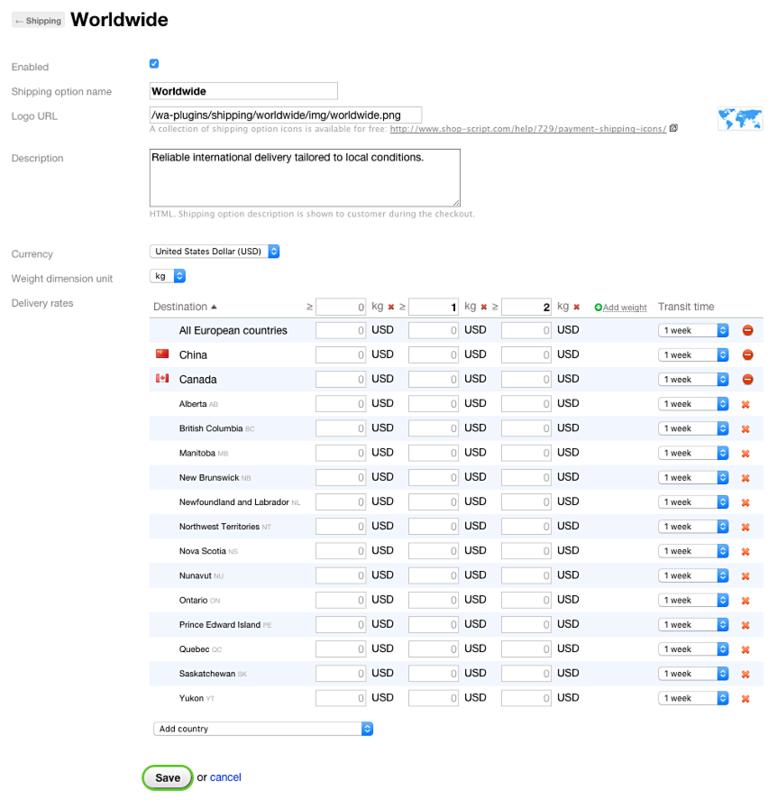 For automatic shipping cost calculation of orders shipped abroad, use the "Worldwide" shipping plugin. To install the "Worldwide" shipping plugin, open the Installer app in your backend, find the plugin name in section "Plugins → Shipping", and click "Install". Go to your Shop-Scrit backend and open section "Settings → Shipping". 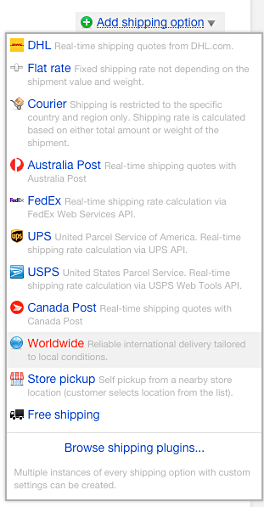 Select "Worldwide" in drop-down menu "Add shipping option" in the top right-hand corner. If you cannot see this option in the drop-down menu, then you must have not installed the plugin in Installer as described above. On the shipping option setup page, enter the desired title and description for your international shipping option, just as they should be displayed to shoppers during checkout. Currency. Select the most convenient currency for shipping rates. Weight dimension unit. Select a unit to specify weight threshold levels for shipping rates. One rate for any package weight or separate rates for different weight values. Common rates for all countries or separate rates for the European Union, all other countries, or individually selected countries. 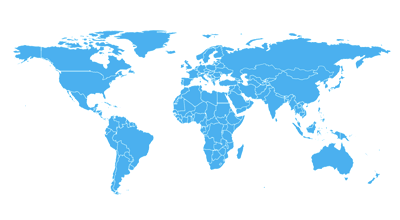 If a list of regions is available for a selected country, then enter shipping rates for each region. For the case when a shopper does not specify a region for such a country in his shipping address, enter default shipping rate for the entire country, too. Select approximate transit time for each country and region. Now you have automatic international shipping cost calculation set up in your online store!